What it is a Newtonian fluid? A Newtonian fluid can be defined as a fluid where its viscosity remains constant independently from the shear stress applied for a constant temperature. On a Newtonian fluid the relation in between the shear stress and rate of deformation is linear at every point. Newtonian fluids are simplest fluid to be conceptualized on a numerical model; however the non-Newtonian fluids are relatively common. The term Newtonian was adopted after Isaac Newton who was the first that used a differential equation to describe the relation between the shear strain and the shear stress for these kind of fluids. How to define a Newtonian fluid in OpenFOAM? There has been a progressive approach on the spatial and temporal scales to define a model capable to show the viscosity effect on fluids. Model has slow water velocity and minimal elevation difference in order to increase the impact of rate of change. 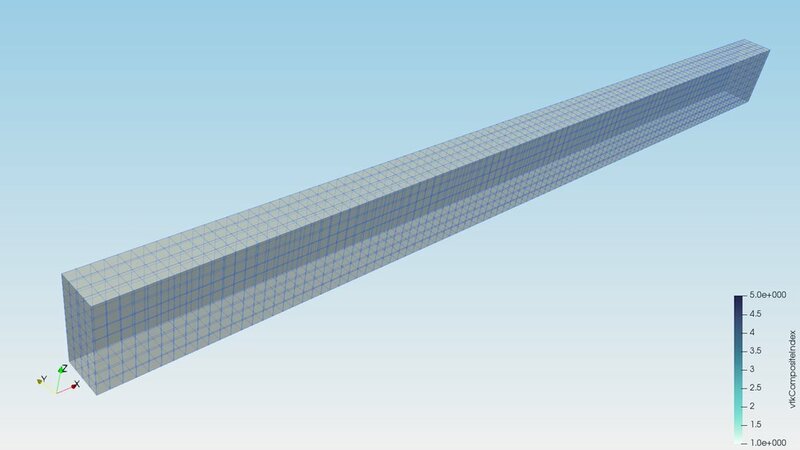 The final model configuration has a length of 1m, a width of 4 cm and a height of 1 cm; grid discretization on the x-axis and z-axis is 1 cm while on the y-axis is 0.125 cm. There is a constant inflow of 0.0001 m3/s at the initial saturated part of the model. 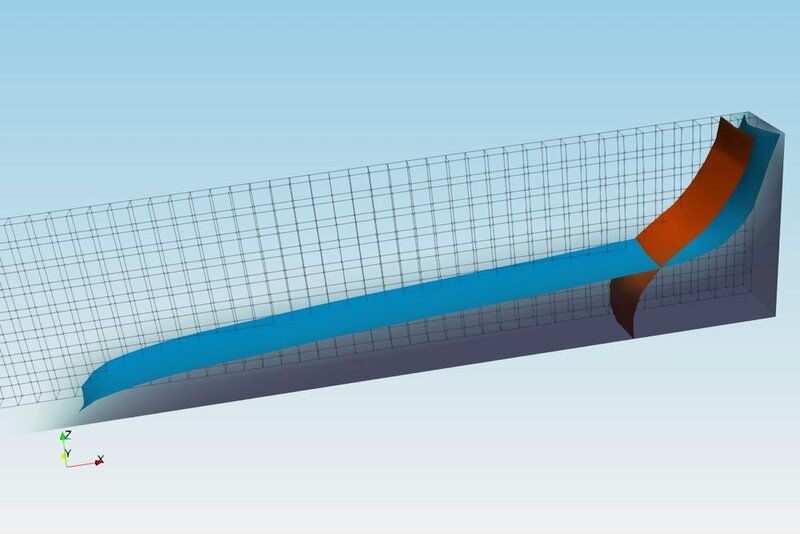 The other fluid conceptualized on this model is air at 20°C. This is an animation on the entire model scale showing the fluid surface from fluids that flow from left to right. Surfaces from benzene and water (blue) have a similar behaviour and move faster, then comes the beer surface (orange), olive oil (yellow) and finally glycerine (green). Close up of the left model corner where all fluid surface development can be seen together with the water body (blue shadow). Download the input files for this link here.